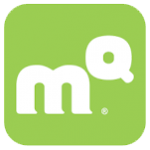 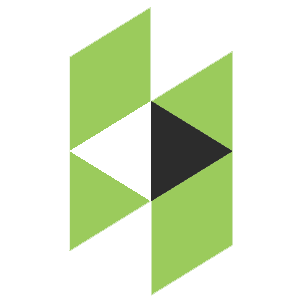 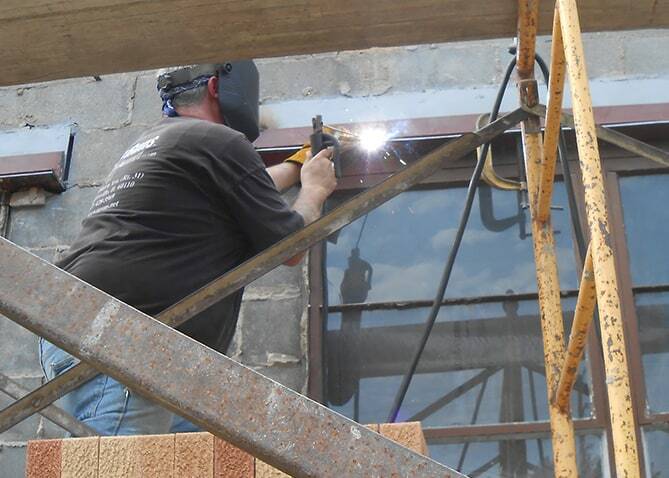 PEP Wauconda Tool - Schafer Brothers Remodeling Inc. 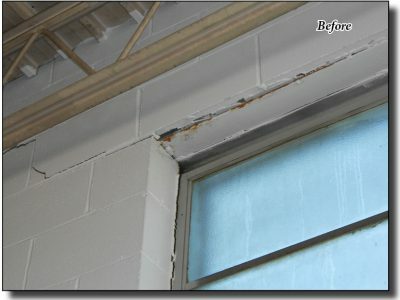 The elements can really take a toll on buildings as was the case with this facility. 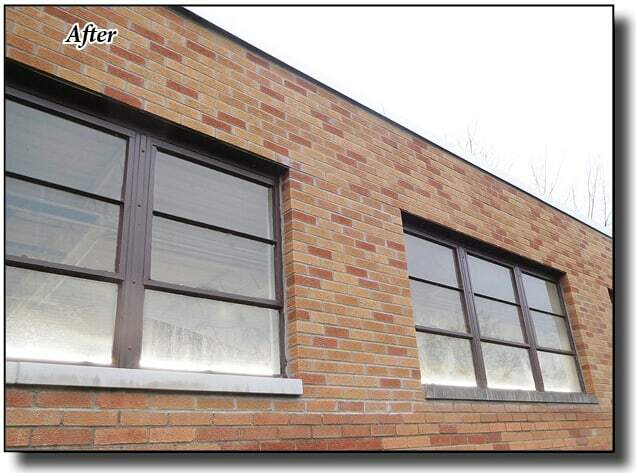 Schafer Brothers Remodeling was contracted to address a variety of exterior issues which had begun to have negative effects on the interior and to the structural integrity of the building. 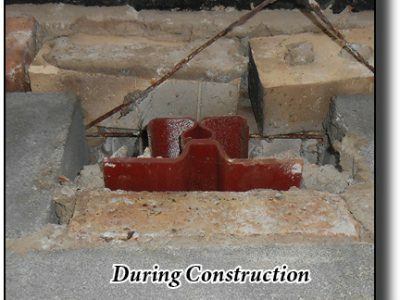 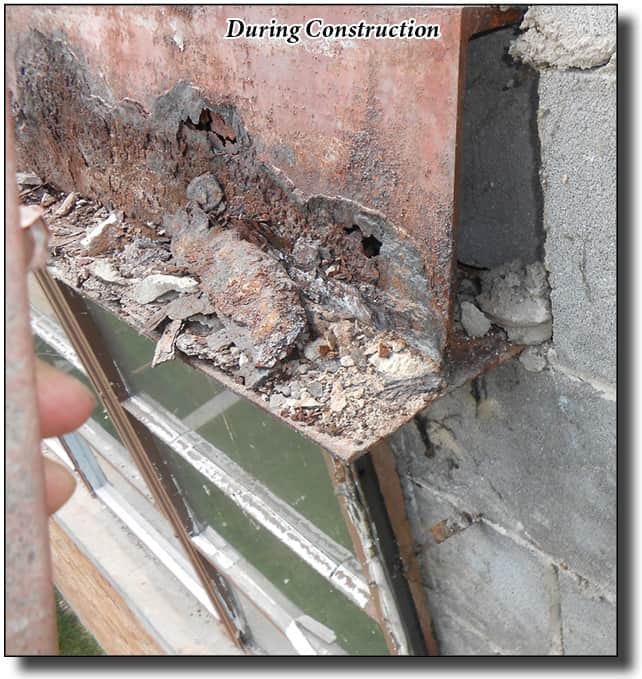 Settling of the structure had led to fracturing of the masonry structure, excessive rusting and shifting of the window framing, roof leakage and door and wall damage. 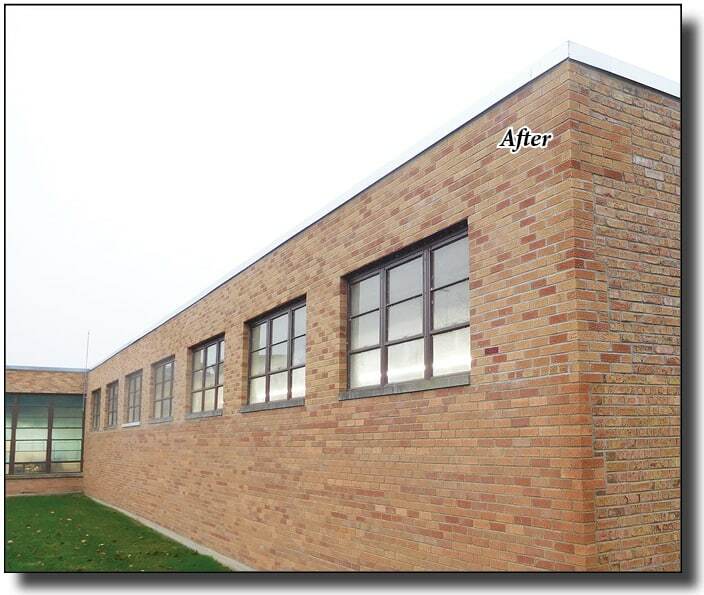 After careful analysis of the problems and potential solutions, we determined the best solutions and implemented an exterior renovation to resolve current issues and strengthen the building ensuring its long-term viability. 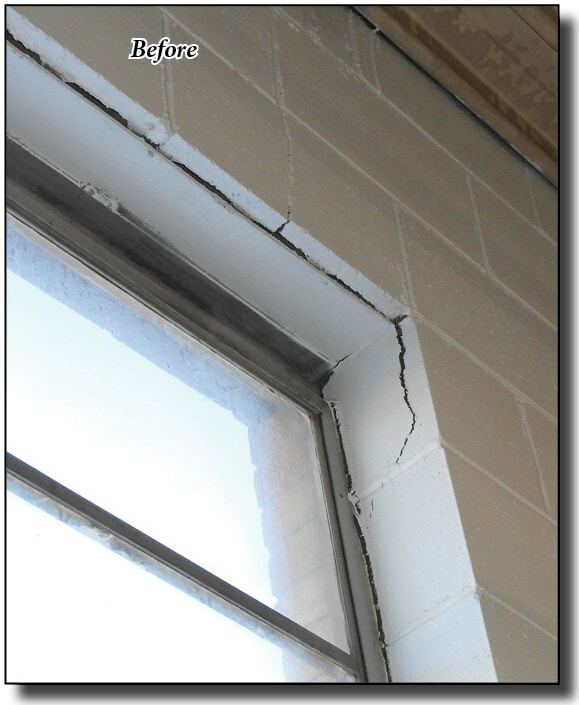 Fracturing of the masonry led to moisture infiltration around the windows. 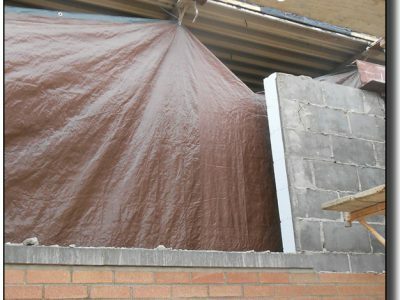 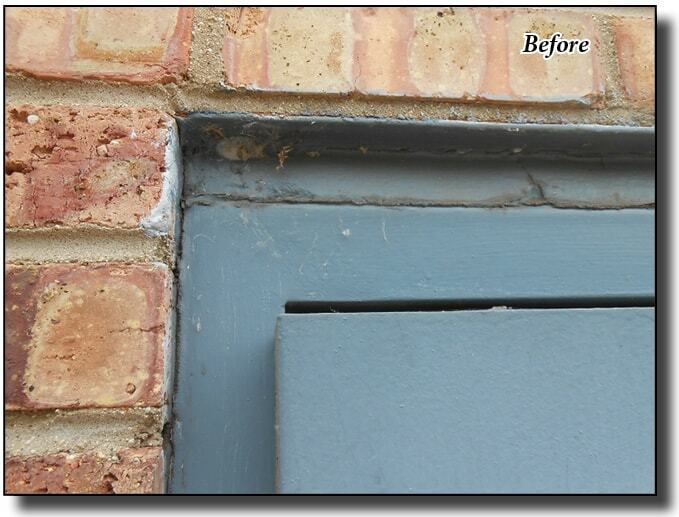 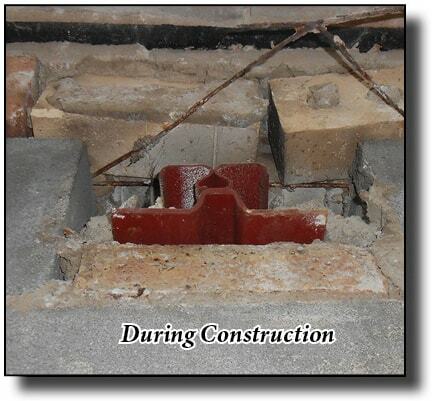 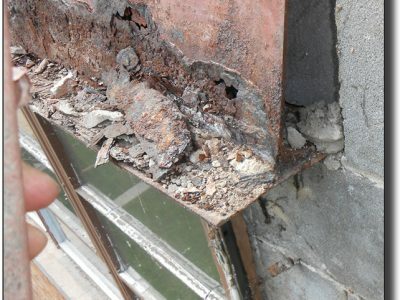 Over time, the leakage caused damage to the lintels leading to settling as well as rusting of the window framing. 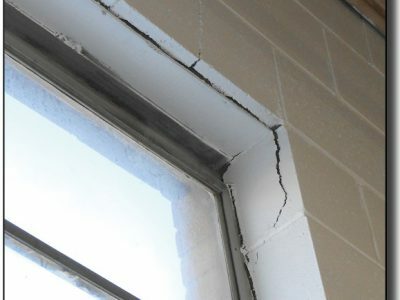 As seen from inside, structural shifting caused the window frames to break away from the housing, and leading to cracking and failure of the masonry blocks. 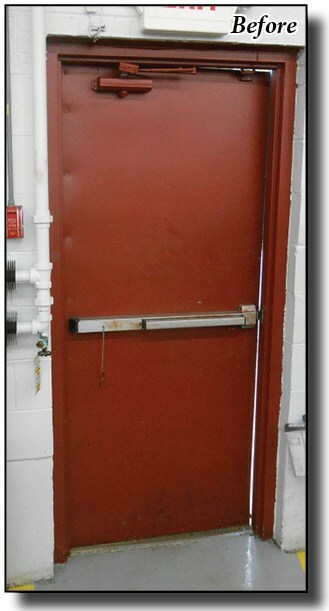 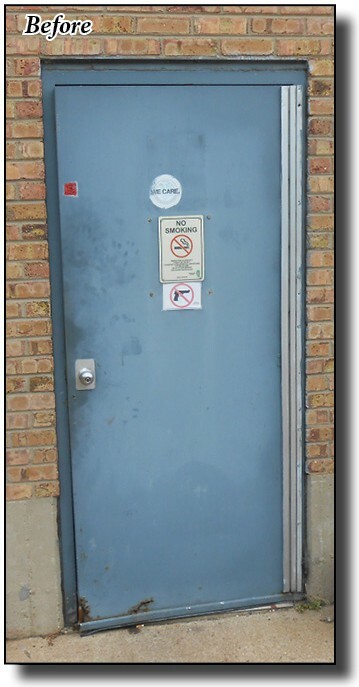 Exterior doors no longer fit properly, allowing the elements to find their way inside, damaging the door itself and leading to an inability to control the interior environment. 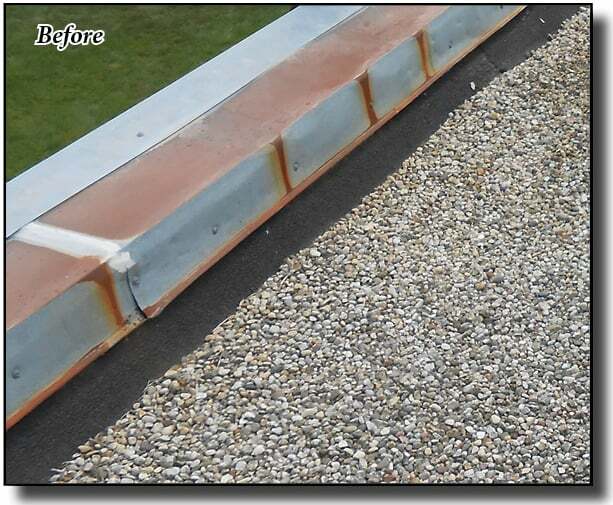 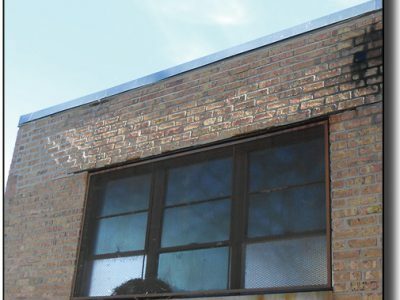 The metal cap along the roof line had not provided adequate shielding from the weather and hid the true extent of the damage to the masonry structure from the top on down. 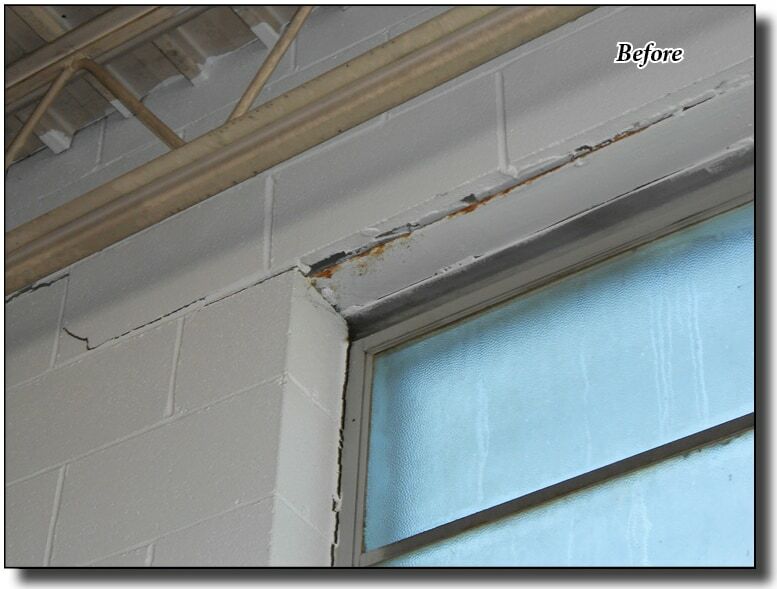 This damage, in turn, compromised the structural soundness to the ceiling supports. 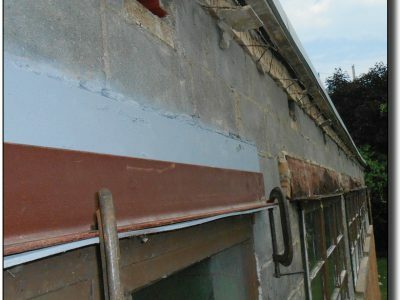 One of our first steps was to provide interior support of the roof until the new structural lintels could be installed during the exterior rebuilding. 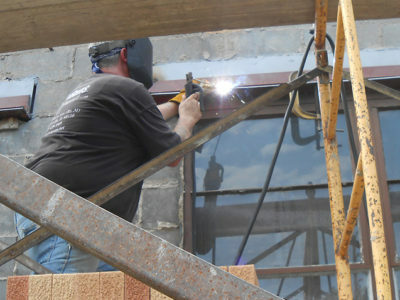 Once we had determined the causes of the problems and the scope of the damage, Schafer Brothers Remodeling worked with the building’s owners and facility manager to develop solutions that were effective and affordable, and designed to be done without interfering with the continuing operations in the facility. 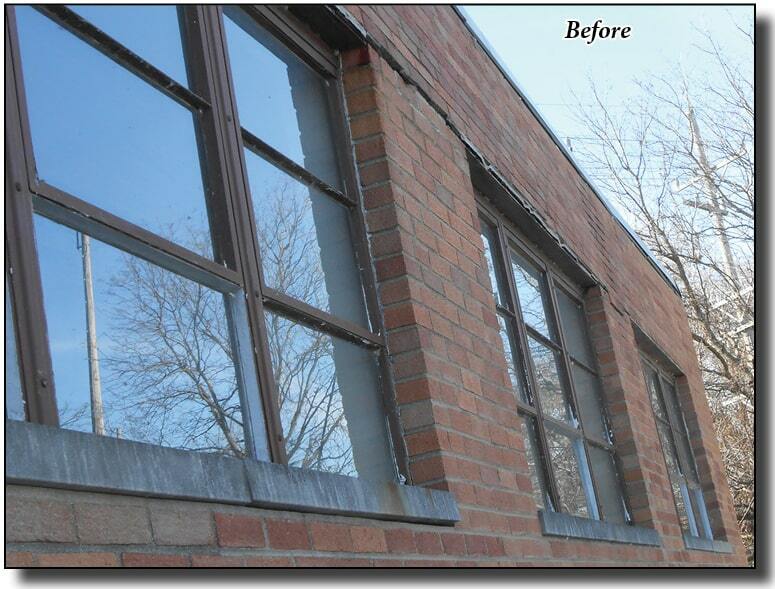 Exterior masonry was removed revealing the extent of the damage to the lintels, windows and masonry. 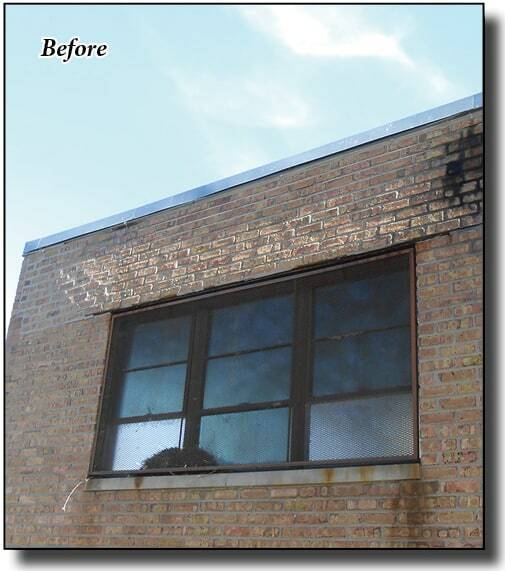 Windows and lintels were removed and the damaged cinder block structure was rebuilt. 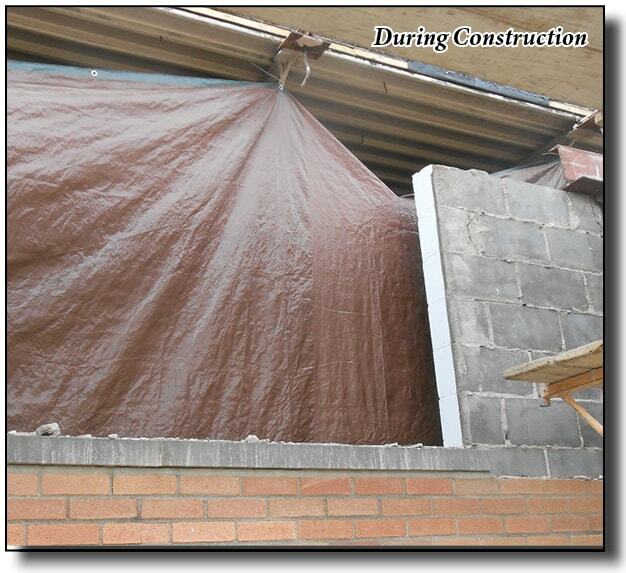 We provided protection to the interior during the entire project. The deteriorated lintels were replaced, then the windows reinserted and welded in place to prevent moisture infiltration. 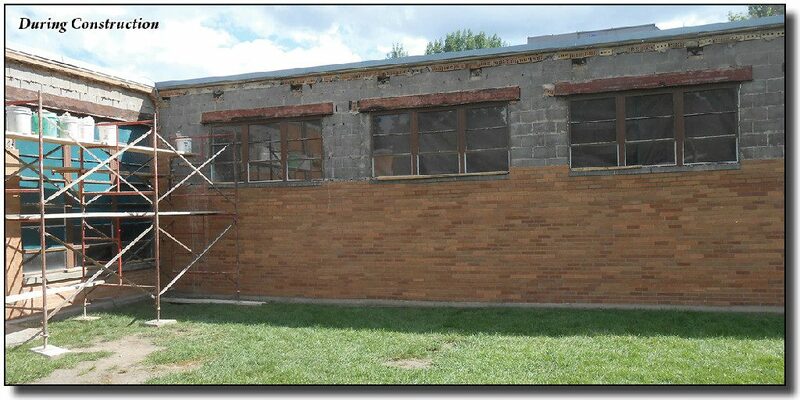 Once the lintels were in place, the masonry block and brick work was completed to the roof. 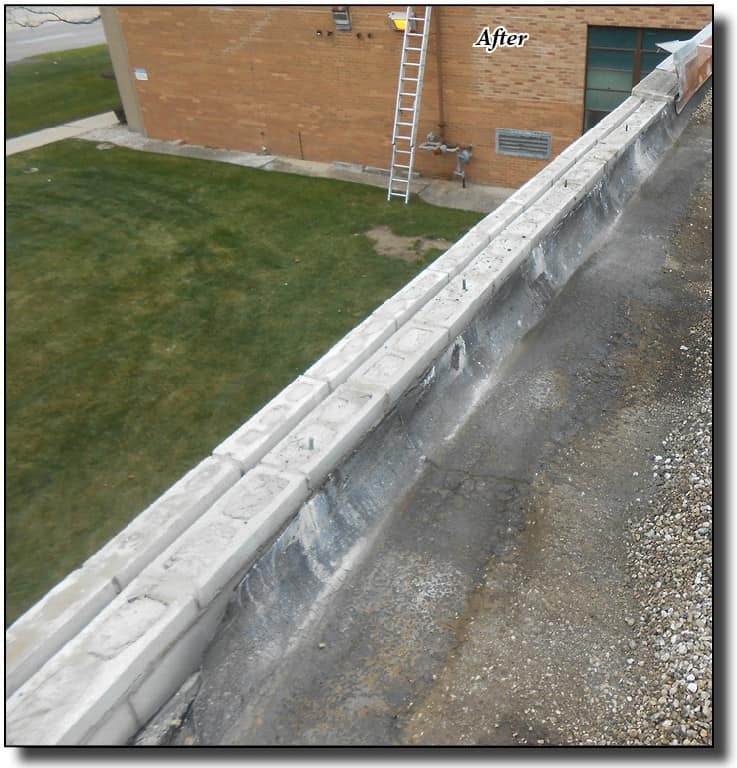 With newly rebuilt cinder block walls and new structural support lintels installed, the structural soundness of the building was restored. 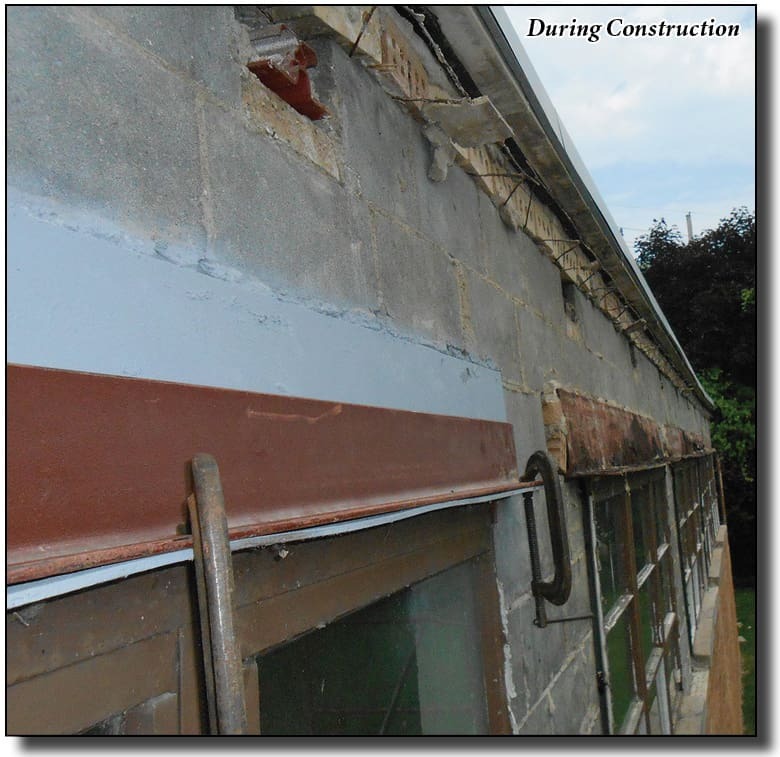 These steps were implemented for all the exterior walls requiring repair, creating a renewed building sure to last for many years.